How many times and how often you can do a CT scan? CT to image ionizing radiation is used, so each assignment this study, especially repeated for a limited period of time must be justified. To preventive methods of x-ray study showed the annual rate of 1 µsv (microsievert) per year, but this figure refers only to the mandatory list of screening procedures for apparently healthy people. The radiation dose resulting CT for the year could exceed 1 mSv, provided that its purpose is justified. For each type of CT scan determined the average effective dose per procedure depending on the scanning zone, they often exceed this standard. Therefore, the purpose of this examination is based on the ratio risk/benefit and requires an individual approach. In the presence of an emergency, paramedics CT scan can be performed several times a year, and to appoint that research yourself, «prevention» is not necessary. What is the expected effective dose for the study. Depending on your system and scan mode for CT of the brain it is 1 to 2 mSv, chest and abdomen – from 10 to 20 mSv. To determine the risk of carcinogenic effects of ionizing radiation to the General population risk value is added to 0.05% for every 10 mSv exposure. That is, when imaging of the brain, the risk of malignancy increases by 0.01%, with a two-fold examination of the abdominal cavity, 0.1 – 0.2 %. How often you will need to conduct research in dynamics, and at what stage it should be replaced by an alternative research method. Cone-beam tomography of the teeth gives a minimum radiation dose of 0,04-0,06 mSv, so its valid multiple applications, even if the second study is performed a few days (assuming its validity). CT scan of the brain in dynamics in acute conditions (ischemic stroke, brain hemorrhage) can be done as often as required. The radiation dose is relatively small, the use of alternative methods is impractical, and the value of the received information for diagnosing and correcting the treatment plan significant. The volume of expected diagnostic information and its significance for diagnosis and chosen treatment. Assign CT to elaborate the preliminary diagnosis, if it will not affect further treatment is impractical. If the study, for example, CT of the brain in hemorrhagic stroke is necessary for the determination of indications and planning of the operation or monitoring in the postoperative period, it can be done as many times as needed. Is it possible to obtain sufficient diagnostic amount of information using methods not involving ionizing radiation, this is especially true for areas in the study where the patient receives high-dose. For the diagnosis of catastrophes in the abdominal cavity can be used ultrasound for routine studies of the brain MRI will be more informative. Important to know: the rationale for the use of computed tomography is determined by the ratio of the risk of side effects from its implementation, and potential harm possible diagnostic error in the absence of the results of the scan. The ratio of the value of CT and alternative research methods also take into account when physician, while trying to choose the minimum cost method. Often in direct testimony to the MRI recommend CT or CT with contrast in an effort to save money the patient. This tactic can be correct only if the patient knows that the choice of KT as a method of research is a compromise, and deliberately takes the risk because of limited financial possibilities. What determines the effective dose? The size and localization of the survey zone. Minimal exposure during CT of the brain and the bones of the skull, the maximum – when imaging the abdomen or the entire body. The type and technical characteristics of the tomograph. With helical and multislice CT scanners can obtain images of the same quality at a lower radiation load than on a sequential machine. But under condition of high qualification of the operator. The combination of scan parameters which the operator can select arbitrarily depending on the purpose of the study and the desired value of spatial resolution. If the scanning area is determined by medical indications and it cannot be modified, then the view of the computed tomography apparatus can be selected depending on the purposes of the study, as well as to change the scan settings. At primary diagnosis, when you want a clear image with the maximum resolution allowed the use of average and near-maximum values of exposure. If you want to do a follow-up study to monitor the dynamics choose smaller values, which can significantly reduce effective dose exposure. The magnitude of the radiation depends not only on the study area, but also from the class of the device and arbitrarily set by the operator of the scanning parameters. CT or alternative examination methods? According to the recommendations of the Ministry of health in the ambulatory map of patient entered data on all radiological diagnostic procedures and the resulting effective doses. This information the doctor uses in the determination of indications and possibilities of the study. If the risk exceeds the expected use, choose an alternative method of diagnosis. READ Alternative to EGD of the stomach: which is better, than you can replace examination? For visualization of the brain structures it is better to do an MRI, if the research is conducted in a planned manner and there are no contraindications to the procedure. This method completely harmless and gives a lot more information. 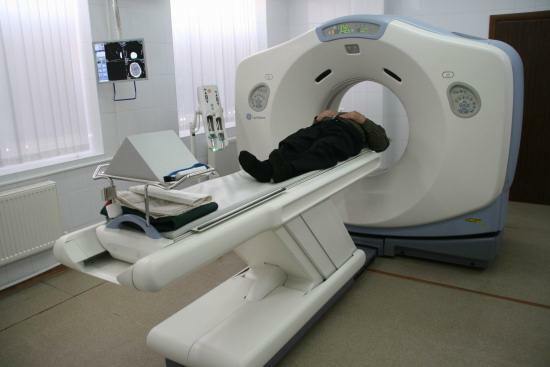 In emergency situations, such as trauma or hemorrhagic stroke of the brain, it is better to do a CT scan. 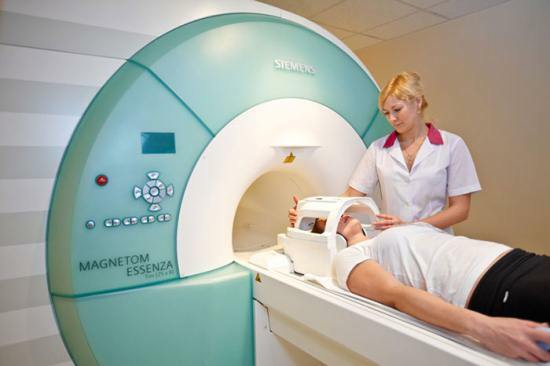 This allows to obtain sufficient diagnostic amount of information, but in comparison with MRI takes much less time. Control dynamics can be used as one or another method, depending on the condition of the patient. On average in Russia the natural background radiation is 2.4 mSv/year. Considered safe effective dose of background radiation for the average lifetime 70 years of 70 mSv. Computed tomography of the lungs — what shows CT scan? 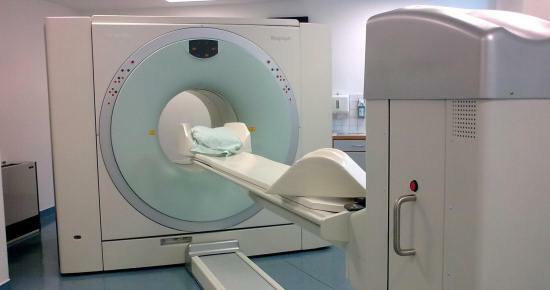 How to make a brain CT scan children? How often and how many times can you do an x-ray? How to scan x-ray: is it possible in the scanner?